Solution C is a patented (Pending) threaded internal centering sleeve. This wheel centering sleeve set is for use on steer and drive wheels as well as most trailers. 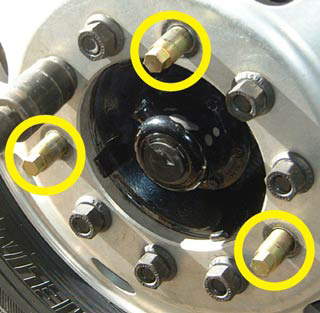 These sleeves stay on the wheel stud permanently and are used at the 12, 4 and 8 oclock positions. We recommend using the proper TRU-BALANCE centering pin tool or the installation pin when mounting on the drive axles. One set includes six sleeves (three per wheel) and will center one axle. We offer many different sizes to fit most brake drums and wheels. TRU-BALANCE Solution C external sleeves are for both aluminum/steel wheels and steer/drive axles. We also offer discounts on 3 sets or more and a warranty as well. The C-5000 Series and comes in many different configurations including some that offer brake drum centering. These sleeves also stay on the wheel stud permanently and both pieces are used at the 12, 4 and 8 oclock positions. 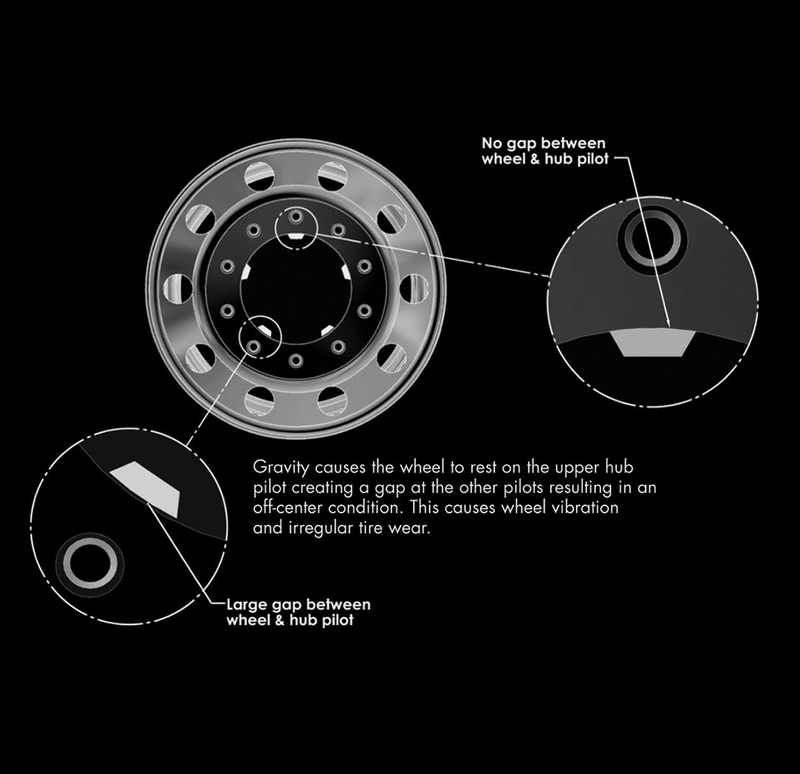 One set includes six sleeves for the inner wheel and brake drum (if applicable) and six sleeves for the outer wheel (use three sleeves per wheel). 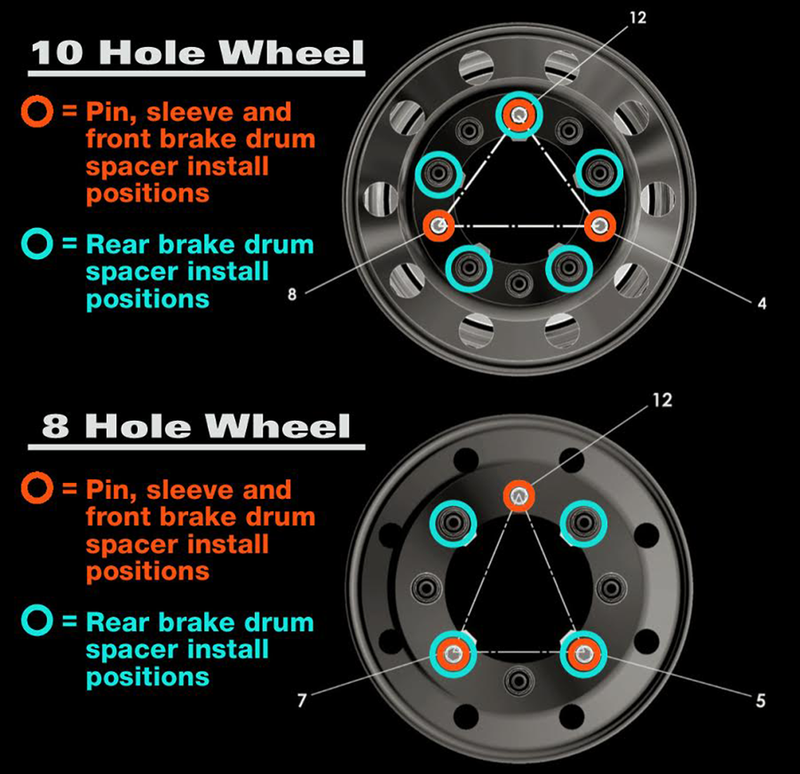 Wheel Size: 19.50"/22.50"/24.50" | Stud Size: 22mm | Hole Size: 1.053"/1.063"